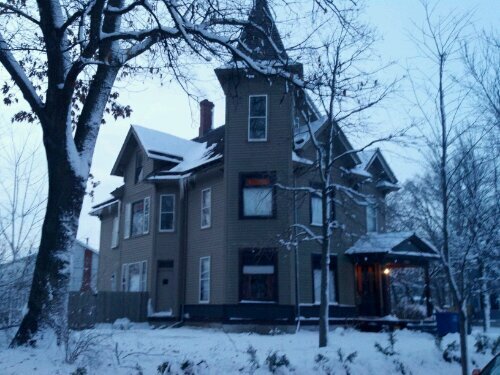 Hard to believe it’s been a year since we closed on our beloved Hatton House, and two year since we found her. A year later, we have picked our exterior paint colors, started remodeling the kitchen, finished the 2nd bathroom, learned how to refinish wood trim, started raising chickens, added two new kittens, and barely blogged about any of it! I’ll have to try to take a break from projects and get caught up here, but for now, happy New Year from all of us at the Hatton House. Many blessings and completed projects for 2013!